*For well-qualified lessees with approved credit through Southeast Toyota Finance. Not all lessees will qualify for this payment amount. 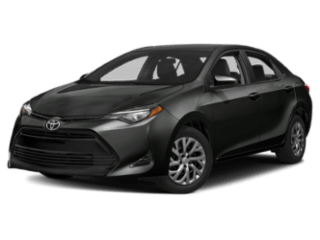 Closed-end lease on new 2019 Corolla LE model # 1852, excludes Hatchback and iM, with automatic transmission and select equipment. Adding options increases payment. $179.00 per month for 36 months. $2,878 due at signing includes $2,699 down payment and first month's payment. No security deposit required. $17,729 Adjusted Capitalized Cost is based on down payment; excludes tax, tag, registration, title and $699 dealer admin fee. Monthly payments do not include applicable taxes. Lessee pays the remainder of maintenance after ToyotaCare expires, excess wear and use, and $0.18 per mile over 12,000 miles per year. Lease payments total $6,444. Disposition Fee of $350 due at lease-end. May not be combined with certain other offers. Must take delivery between 04/02/19 and 04/30/19. 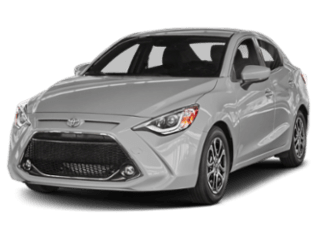 **0.0/0.9/0.9/2.9 annual percentage rate financing on new 2019 Corolla with respective terms of 36/48/60/72 months. This offer applies to well-qualified buyers and requires approved credit and financing through Southeast Toyota Finance. Not all buyers will qualify for these rates. Payments may be deferred for the first 90 days; interest accrues from inception. Monthly payment for every $1,000 financed is 0.0% - 36 months = $27.78; 0.9% - 48 months = $21.25; 0.9% - 60 months = $17.08; 2.9% - 72 months = $15.22. No down payment required. Excludes tax, tag, registration, title and $699 dealer admin fee. May not be combined with certain other offers. Must complete retail sale and take delivery between 04/02/19 and 04/30/19. *For well-qualified lessees with approved credit through Southeast Toyota Finance. Not all lessees will qualify for this payment amount. 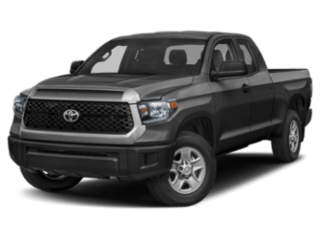 Closed-end lease on new 2019 Tacoma SR5 Double Cab V6 model # 7146, excludes TRD Pro, with automatic transmission and select equipment. Adding options increases payment. $209.00 per month for 36 months. $3,508 due at signing includes $3,299 down payment and first month's payment. No security deposit required. $29,127 Adjusted Capitalized Cost is based on down payment; excludes tax, tag, registration, title and $699 dealer admin fee. Monthly payments do not include applicable taxes. 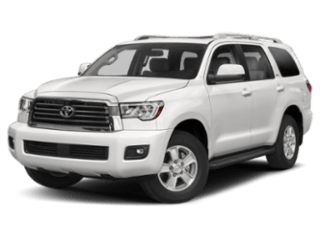 Lessee pays the remainder of maintenance after ToyotaCare expires, excess wear and use, and $0.18 per mile over 12,000 miles per year. Lease payments total $7,524. Disposition Fee of $350 due at lease-end. May not be combined with certain other offers. Must take delivery between 04/02/19 and 04/30/19. 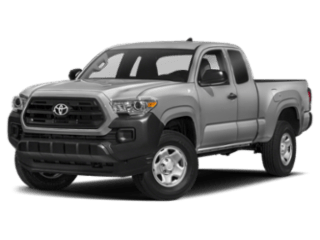 **0.0/0.9/1.9/2.9 annual percentage rate financing on new 2019 Tacoma, excludes TRD Pro, with respective terms of 36/48/60/72 months. This offer applies to well-qualified buyers and requires approved credit and financing through Southeast Toyota Finance. Not all buyers will qualify for these rates. Payments may be deferred for the first 90 days; interest accrues from inception. Monthly payment for every $1,000 financed is 0.0% - 36 months = $27.78; 0.9% - 48 months = $21.25; 1.9% - 60 months = $17.54; 2.9% - 72 months = $15.22. No down payment required. Excludes tax, tag, registration, title and $699 dealer admin fee. May not be combined with certain other offers. Must complete retail sale and take delivery between 04/02/19 and 04/30/19. *For well-qualified lessees with approved credit through Southeast Toyota Finance. Not all lessees will qualify for this payment amount. Closed-end lease on new 2019 Camry LE (Non-Hybrid) model # 2532 with automatic transmission and select equipment. Adding options increases payment. $219.00 per month for 36 months. $3,518 due at signing includes $3,299 down payment and first month's payment. No security deposit required. $21,830 Adjusted Capitalized Cost is based on down payment; excludes tax, tag, registration, title and $699 dealer admin fee. Monthly payments do not include applicable taxes. Lessee pays the remainder of maintenance after ToyotaCare expires, excess wear and use, and $0.18 per mile over 12,000 miles per year. Lease payments total $7,884. Disposition Fee of $350 due at lease-end. May not be combined with certain other offers. Must take delivery between 04/02/19 and 04/30/19. 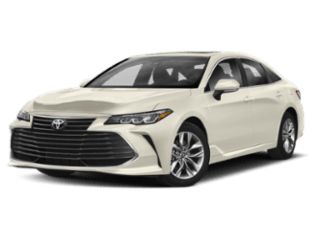 **0.0/0.9/1.9/2.9 annual percentage rate financing on new 2019 Camry (Non-Hybrid) with respective terms of 36/48/60/72 months. This offer applies to well-qualified buyers and requires approved credit and financing through Southeast Toyota Finance. Not all buyers will qualify for these rates. Payments may be deferred for the first 90 days; interest accrues from inception. Monthly payment for every $1,000 financed is 0.0% - 36 months = $27.78; 0.9% - 48 months = $21.25; 1.9% - 60 months = $17.54; 2.9% - 72 months = $15.22. No down payment required. 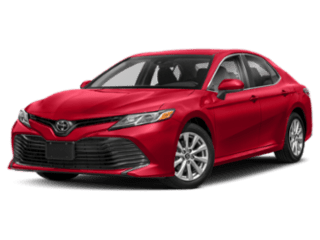 $500.00 Bonus Cash on new 2019 Camry (Non-Hybrid) must be used toward purchase. May not be combined with certain other offers. Excludes tax, tag, registration, title and $699 dealer admin fee. Must complete retail sale and take delivery between 04/02/19 and 04/30/19. *For well-qualified lessees with approved credit through Southeast Toyota Finance. Not all lessees will qualify for this payment amount. Closed-end lease on new 2019 RAV4 LE (Non-Hybrid) model # 4430 with automatic transmission and select equipment. Adding options increases payment. $239.00 per month for 36 months. $3,538 due at signing includes $3,299 down payment and first month's payment. No security deposit required. $23,543 Adjusted Capitalized Cost is based on down payment; excludes tax, tag, registration, title and $699 dealer admin fee. Monthly payments do not include applicable taxes. Lessee pays the remainder of maintenance after ToyotaCare expires, excess wear and use, and $0.18 per mile over 12,000 miles per year. Lease payments total $8,604. Disposition Fee of $350 due at lease-end. May not be combined with certain other offers. Must take delivery between 04/02/19 and 04/30/19. 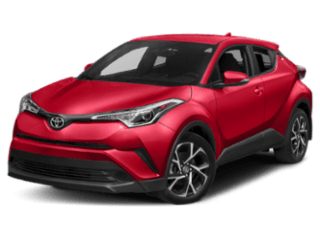 **1.9/1.9/2.9/3.49 annual percentage rate financing on new 2019 RAV4 (Non-Hybrid) with respective terms of 36/48/60/72 months. This offer applies to well-qualified buyers and requires approved credit and financing through Southeast Toyota Finance. Not all buyers will qualify for these rates. Payments may be deferred for the first 90 days; interest accrues from inception. Monthly payment for every $1,000 financed is 1.9% - 36 months = $28.69; 1.9% - 48 months = $21.72; 2.9% - 60 months = $18.01 - 3.49% - 72 months = $15.41. No down payment required. 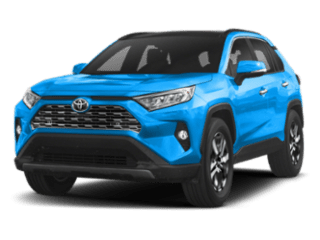 $500.00 Bonus Cash on new 2019 RAV4 (Non-Hybrid) must be used toward purchase. May not be combined with certain other offers. Excludes tax, tag, registration, title and $699 dealer admin fee. Must complete retail sale and take delivery between 04/02/19 and 04/30/19. *For well-qualified lessees with approved credit through Southeast Toyota Finance. Not all lessees will qualify for this payment amount. Closed-end lease on new 2019 Highlander LE (Non-Hybrid) model # 6942 with automatic transmission and select equipment. Adding options increases payment. $249.00 per month for 36 months. $3,248 due at signing includes $2,999 down payment and first month's payment. No security deposit required. $28,734 Adjusted Capitalized Cost is based on down payment; excludes tax, tag, registration, title and $699 dealer admin fee. Monthly payments do not include applicable taxes. Lessee pays the remainder of maintenance after ToyotaCare expires, excess wear and use, and $0.18 per mile over 12,000 miles per year. Lease payments total $8,964. Disposition Fee of $350 due at lease-end. May not be combined with certain other offers. Must take delivery between 04/02/19 and 04/30/19. 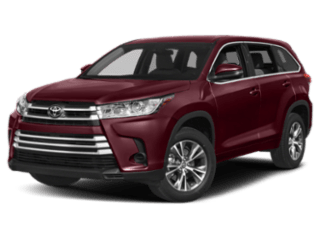 **0.0/0.0/0.9/1.9 annual percentage rate financing on new 2019 Highlander (Non-Hybrid) with respective terms of 36/48/60/72 months. This offer applies to well-qualified buyers and requires approved credit and financing through Southeast Toyota Finance. Not all buyers will qualify for these rates. Payments may be deferred for the first 90 days; interest accrues from inception. Monthly payment for every $1,000 financed is 0.0% - 36 months = $27.78; 0.0% - 48 months = $20.83; 0.9% - 60 months = $17.08; 1.9% - 72 months = $14.75. No down payment required. 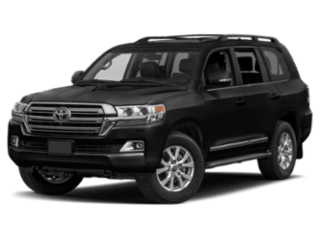 $500.00 Bonus Cash on new 2019 Highlander (Non-Hybrid) must be used toward purchase. May not be combined with any other offers except this Special APR Financing offer. Excludes tax, tag, registration, title and $699 dealer admin fee. Must complete retail sale and take delivery between 04/02/19 and 04/30/19. *For well-qualified lessees with approved credit through Southeast Toyota Finance. Not all lessees will qualify for this payment amount. 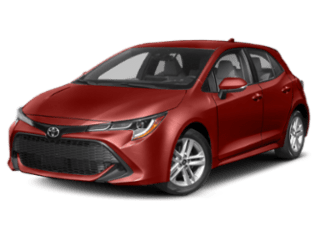 Closed-end lease on new 2020 Corolla LE (Non-Hybrid) model # 1852, excludes Hatchback and iM, with automatic transmission and select equipment. Adding options increases payment. $199.00 per month for 36 months. $2,898 due at signing includes $2,699 down payment and first month's payment. No security deposit required. 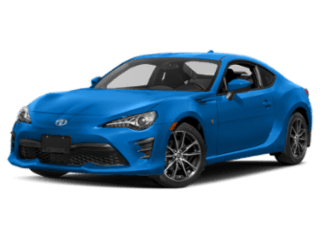 $18,560 Adjusted Capitalized Cost is based on down payment; excludes tax, tag, registration, title and $699 dealer admin fee. Monthly payments do not include applicable taxes. Lessee pays the remainder of maintenance after ToyotaCare expires, excess wear and use, and $0.18 per mile over 12,000 miles per year. Lease payments total $7,164. Disposition Fee of $350 due at lease-end. May not be combined with certain other offers. Must take delivery between 04/02/19 and 04/30/19. 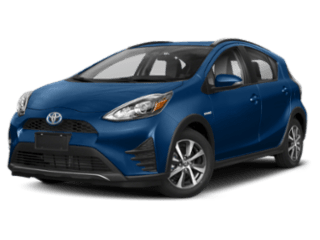 **0.9/0.9/1.9/2.9 annual percentage rate financing on new 2020 Corolla (Non-Hybrid) with respective terms of 36/48/60/72 months. This offer applies to well-qualified buyers and requires approved credit and financing through Southeast Toyota Finance. Not all buyers will qualify for these rates. Payments may be deferred for the first 90 days; interest accrues from inception. Monthly payment for every $1,000 financed is 0.9% - 36 months = $28.21; 0.9% - 48 months = $21.25; 1.9% - 60 months = $17.54; 2.9% - 72 months = $15.22. No down payment required. Excludes tax, tag, registration, title and $699 dealer admin fee. May not be combined with certain other offers. Must complete retail sale and take delivery between 04/02/19 and 04/30/19. 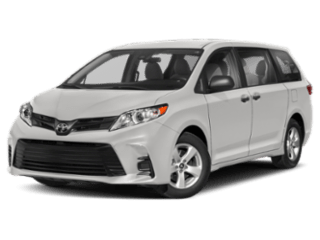 Each Toyota Certified Used Vehicle is reconditioned to Toyota's exacting standards by Toyota factory-trained technicians and backed by an extensive used car warranty. Whatever size, shape, or color you’re looking for, there is no shortage of quality used cars below $15,000 to choose from. You will find a number of them right here at Hendrick Toyota Concord. 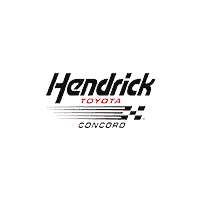 Welcome to Hendrick Toyota Concord, one of Concord areas favorite new and used Toyota dealership! Our knowledgeable and friendly dealership staff are proud to work for one of the leading Toyota dealerships in NC, offering a large selection of Certified Pre-owned Toyota vehicles, new Toyota and an impressive inventory of used cars. Our customers come from Huntersville, Charlotte, and all over the beautiful state of North Carolina to see what vehicles we have in our Concord new, certified and used Toyota inventory. We offer an impressive selection of new 2018 & 2019 Toyota models for you to choose from. You can use our website to search our inventory of new vehicles, or stop by and walk around the lot. From the ever-popular Toyota Camry to the eco-friendly Toyota Prius, we have the perfect Toyota car at the perfect price. 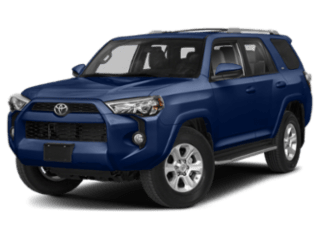 You can take either of these new Toyota vehicles for a test drive, or try out some of our other cars and trucks until you find one that best meets your needs for your next vehicle. We also feature thousands of used cars of all makes and models at our NC Toyota dealership. Our certified pre-owned cars offer every customer of our Concord dealership peace-of-mind with their purchase, knowing each car goes through a rigorous multi-point inspection system to ensure the utmost quality. Shop through our vast inventory of used vehicles today and schedule a test drive around the streets of Huntersville. We can help you figure out your trade-in value for your existing car, and get you behind the wheel of your favorite used car in no time! The Hendrick Toyota Concord finance department works hard to make sure our North Carolina customers have a car buying experience that far exceeds their expectations. We provide new and used Concord car loans and vehicle leases throughout the state, from Huntersville to Harrisburg, and Charlotte. Regardless of your current credit score, our experienced loan and financing staff will work with you to answer your financing questions and help find a way to get the car loan you need. Our Hendrick Toyota Concord finance department provides car loans with competitive rates from Toyota and local Concord banks, as well as quick approvals, online pre-approvals, and extended warranty programs. Fill out our online credit pre-approval application, or contact the car financing department if you have any questions. The Hendrick Toyota Concord Service Department is focused on providing high quality, honest work. Our Toyota service customers are treated to the most advanced vehicle diagnostics systems and repair equipment available. Our ASE Certified Master Technicians rely on genuine, insured Toyota parts to fix your vehicles, so you can feel good about leaving your vehicle’s repair and maintenance needs in our hands. Schedule your next Hendrick Toyota Concord service appointment online or give us a call to see how we can help you.